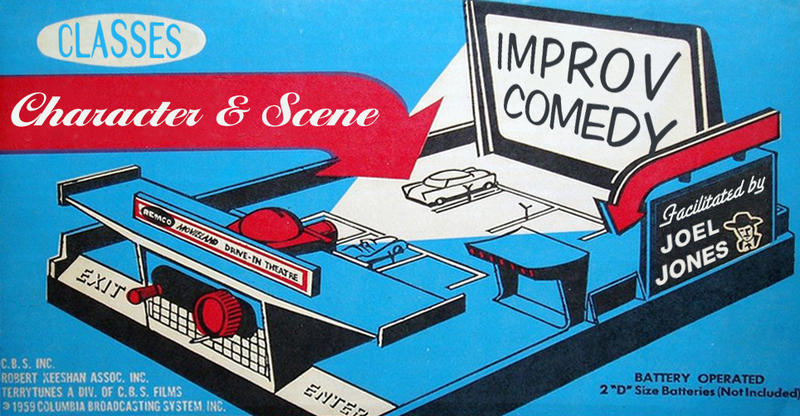 Improv 1: Sundays in January! Big Blue Door’s fun and fabulous introduction to longform improv! This introduction to Longform Improv will teach you how to build an original show of life-filled characters and spontaneous, hilarious scenes. In eight weeks of exercises, games, and a final class performance you’ll learn how to play fearlessly with other smart people in focused abandon; how to draw inspiration from almost anything; and how to find what’s funny and compelling in real human emotions, quirks, and experiences! Whether you’re interested in longform improv, curious about how comedy works, or just looking to have fun this is one of the best classes you’ll ever take! Showcase: Thursday, March 12 at BON! Classes are taught by Joel Jones. *Some sessions may be held in another downtown location. We offer 100% refunds for courses that we cancel. We offer a 100% refund, minus a 5 dollar processing fee for courses that you withdraw from, if you email us at classes@bigbluedoor.org at least 72 hours BEFORE the class begins. We do not offer any refund for withdrawals later than 72 hours before a class begins.